All ten episodes from the first season of the HBO sci-fi drama based on the 1973 film, written and directed by Michael Crichton. 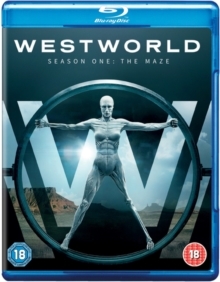 The show takes place in the futuristic and technologically advanced Western theme park 'Westworld' where androids known as hosts cater to their guests' every desire. Its creator Dr. Robert Ford (Anthony Hopkins) has designed an expansive experience where wealthy customers pay to immerse themselves in the Wild West with his artificially intelligent beings on hand to indulge their fantasies. One such customer (Ed Harris) enters the park in search of a maze and like so many of his fellow clients attacks two of the robots, Teddy and Dolores (James Marsden and Evan Rachel Wood), shortly after his arrival. The episodes are: 'The Original', 'Chestnut', 'The Stray', 'Dissonance Theory', 'Contrapasso', 'The Adversary', 'Trompe L'Oeil', 'Trace Decay', 'The Well-Tempered Clavier' and 'The Bicameral Mind'.